More often than not, on days I’m not craving for anything in particular, I would settle for a hearty plate of braised duck rice. I consider it a comfort food because it’s something I’m simply never bored of. This is why whenever a braised duck rice stall catches my attention, I already know what I’ll be having as a meal for the day. 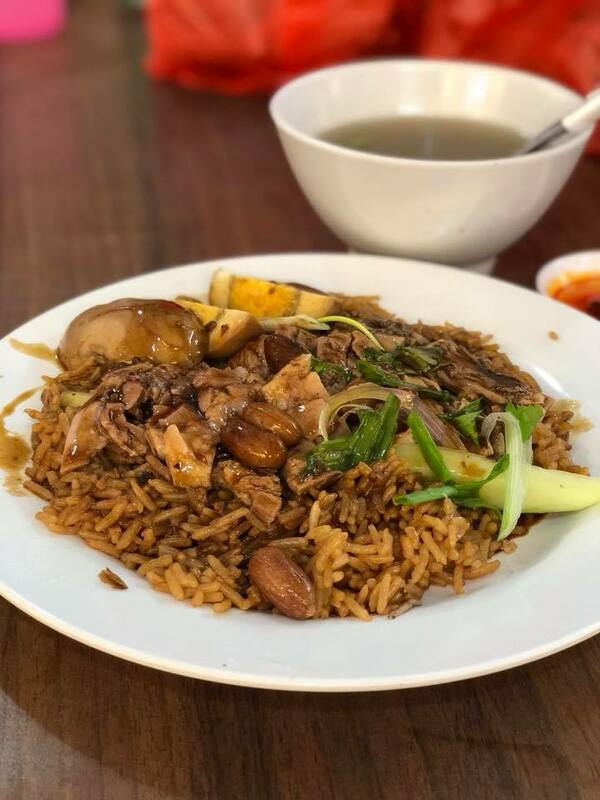 For your convenience, I’ve rounded up a list of hawker stalls where you can get your fill of value-for-money braised duck rice! 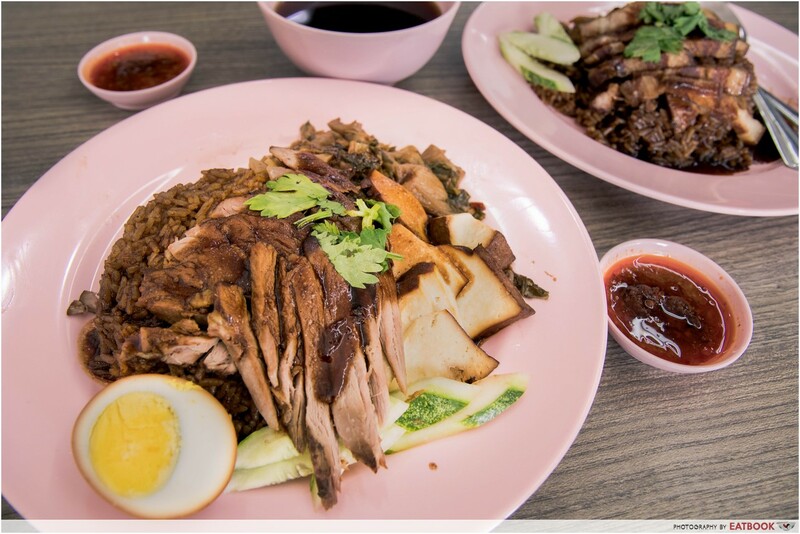 This tastefully designed platter from Jin Ji Teochew Braised Duck and Kway Chap may look atas, but it is indeed duck rice! Created by second-generation hawker Melvin Chew, the Bento Combo Jumbo Set ($8) features all the ingredients commonly found in your average braised duck rice set, but with a Japanese-inspired twist. Presented on a tray, yam rice is moulded into small balls and separated by sweet slices of daikon. Even the braised egg is prepared in a Japanese style, with a more runny yolk than usual. In addition, their house-made tangy sambal chilli, comprising strong traces of dried shrimp and vinegar is truly one-of-a-kind; so much so that the stall is now selling it at $15.80 per bottle. 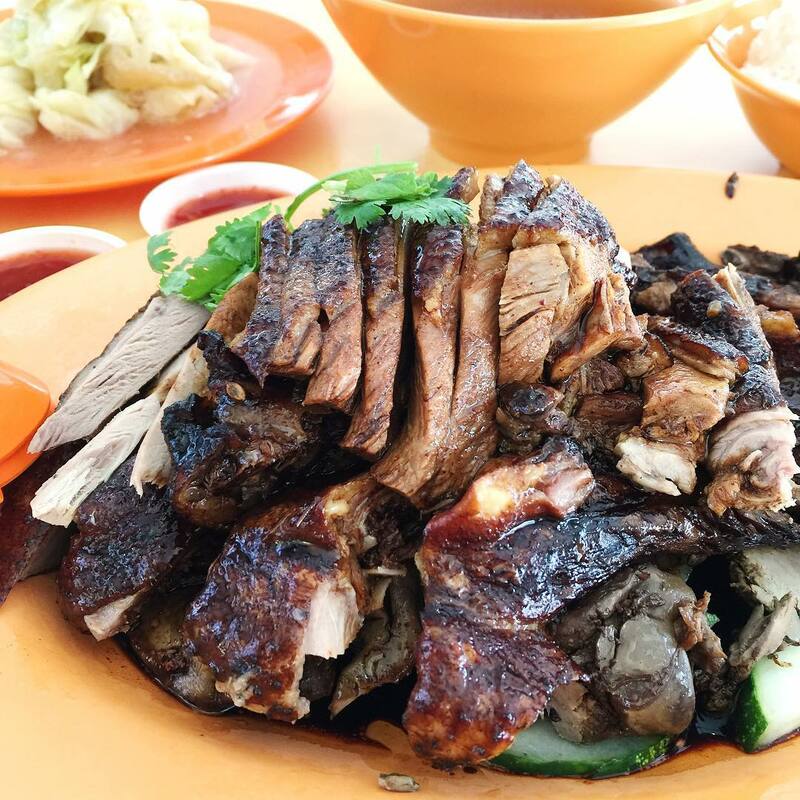 Check out our interview with the boss of Jin Ji Teochew Braised Duck and Kway Chap! 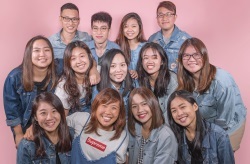 Wei Ji Braised Duck is run by 21-year-old student Kennie Rosemary Ng. The eldest of four children, Kennie took over the family business when she was only 20, after losing her father to brain cancer. Their Duck Rice ($3.30) is a simple yet tasty affair, where the plate of boneless duck rice is generously slathered with gravy. For a greater variety of ingredients, you may prefer their Duck Rice Set ($4.30), which includes braised tofu and preserved vegetables. The soup, which accompanies each dish, is something else entirely. Duck bones are stewed with Chinese Angelica and licorice roots, giving the broth a rich herbal flavour. 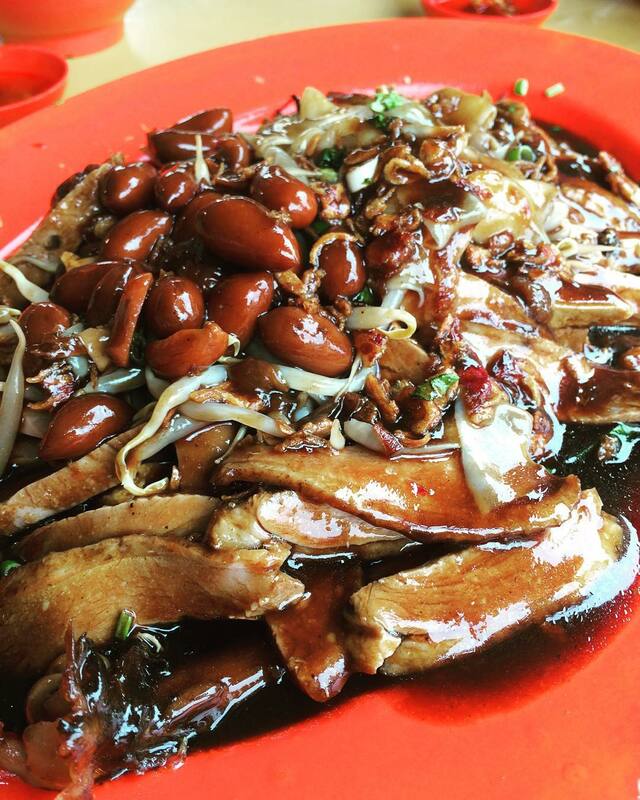 To show your support for Kennie and her family, head on down to Wei Ji Braised Duck for a hearty meal! Read more about Kennie in our story of Wei Ji Braised Duck. 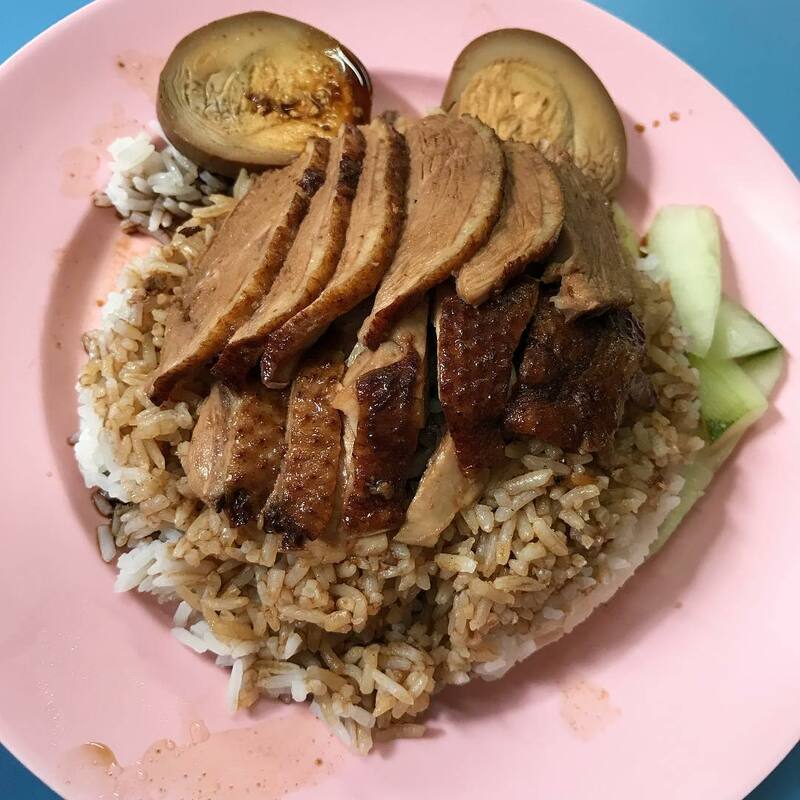 I recently visited Say Seng Tau Kwa Pau and found it one of the more memorable duck rice stalls I have ever come across. We ordered the Mixed Platter ($10 for two people), which came with braised duck, fried yam, braised egg, pork belly and pig’s intestines. It wasn’t so much the braised duck that stood out to me, but the crispy fried yam and fatty, melt-in-your-mouth pork belly. An interesting side dish to spice up your meal with is their Tau Kwa Pau ($1.50). 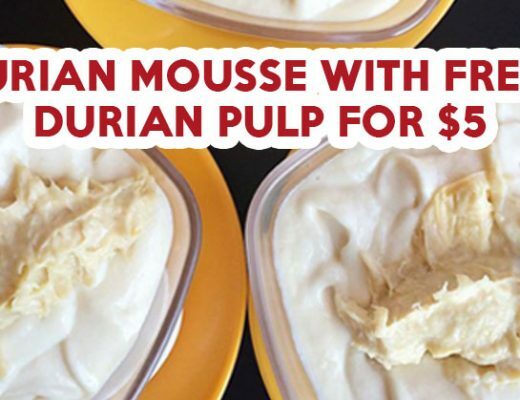 A dying dish in Singapore, the large beancurd bun is stuffed to the brim with tiny, chopped-up pieces of the same ingredients found in the Mixed Platter. 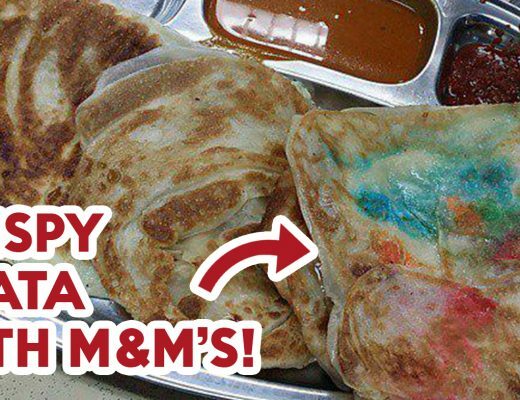 Check out our full review of Say Seng Tau Kwa Pau! He Ji Braised Duck Rice Porridge Noodle has received rave reviews, particularly for its stellar Braised Duck Rice ($3)and Kway Chap ($3.50). The duck meat is extremely soft and tender, while the thick, aromatic gravy that’s doused over the duck brings out the flavour of the meat. 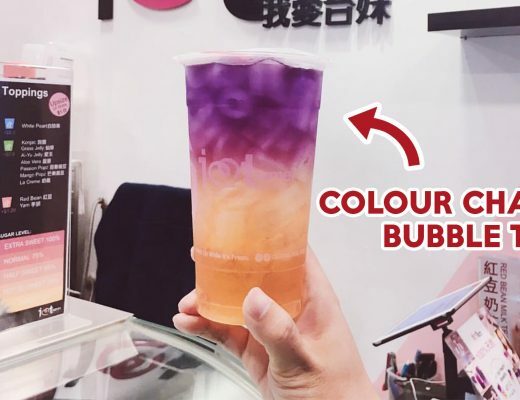 You may want to add extra ingredients such as Beancurd ($0.60) and Braised Egg ($0.50), or try their Duck Porridge ($3) as well, which comes with braising sauce mixed in. Sean Kee Duck Rice has only two main dishes on the menu: Braised Duck Rice ($5) and Duck Porridge ($5). 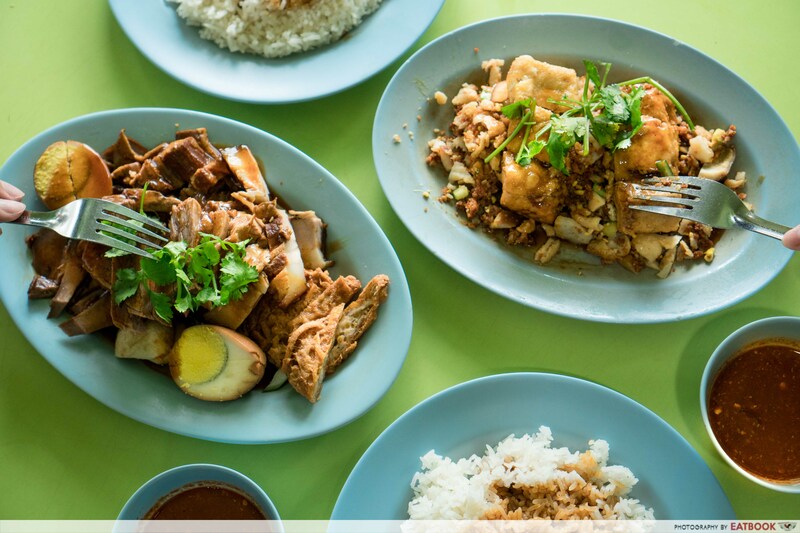 Despite the limited food choices at this hawker stall, business remains well for the three brothers who manage the stall. This is attributed to their father’s secret braised duck recipe. The succulent duck meat is delivered and prepared fresh every day, but ultimately, it is the viscous braised gravy which steals the show with its addictive salty-sweet flavour. Formerly known as Lian Kee Braised Duck, Hollywood Duck Rice • Duck Porridge was renamed after relocating to Sims Vista Market and Food Centre from the now closed Hin Hollywood Canteen. 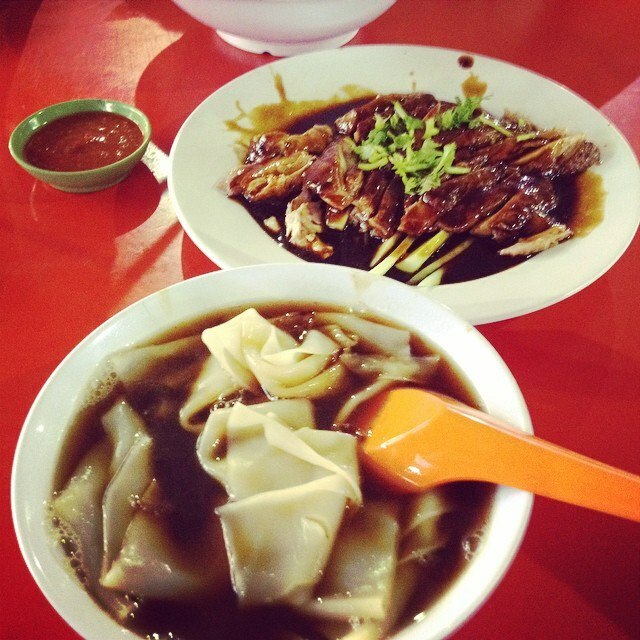 Apart from Duck Rice ($3.30), the stall also sells duck porridge, kway chap and noodles. 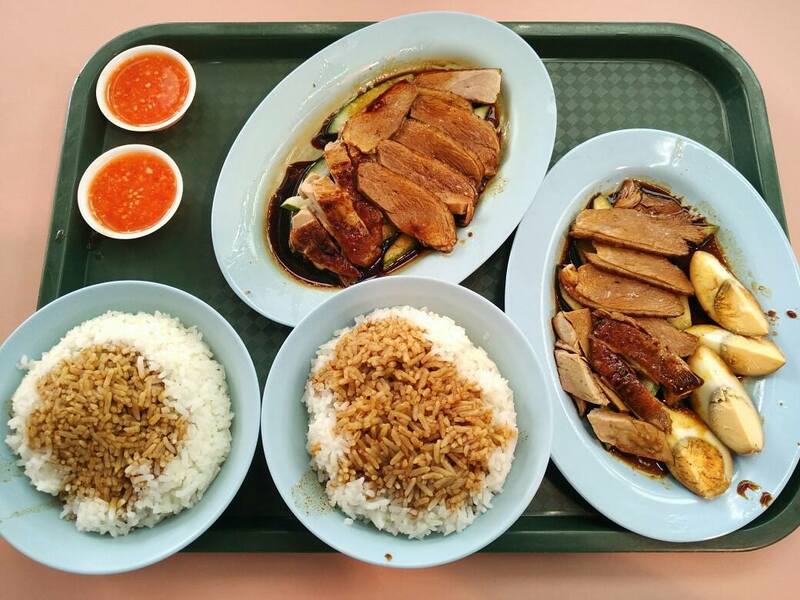 Here’s something unique about this duck rice stall: the flavours of every dish rely heavily on the braising sauce, where even the aromatic rice is cooked with the same sauce! Fortunately, the thick gravy is rich in herbs and spices, so you don’t have to worry about the food tasting boring or bland. As a matter of fact, it’s quite the opposite. 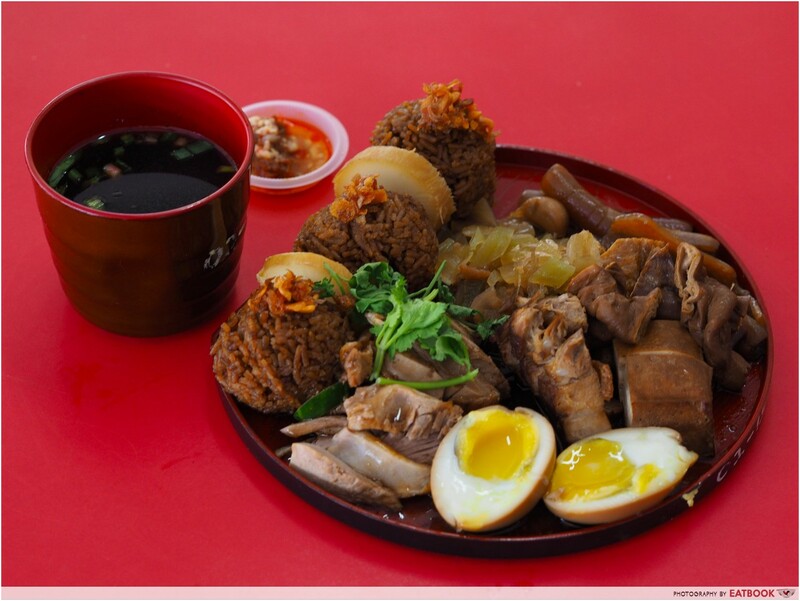 Also located at Sims Vista Market and Food Centre is Tai Dong Teochew Duck Rice. A regular plate of Duck Ricecosts $3.50, although you can pay more to add on braised pork belly, egg, stewed cabbage with pig’s skin, gizzard or peanuts. The gravy here has a stronger flavour than the one at Hollywood Duck Rice • Duck Porridge, but the meat is slightly tougher. So if you visit this food centre often, you might want to alternate between Hollywood Duck Rice • Duck Porridge and Tai Dong Teochew Duck Rice to determine your victor. You’ll be delighted to find that the duck meat served at Long House Soon Kee (Boneless) Braised Duck is completely deboned. The meat is incredibly tender and juicy, as the braising sauce infuses into the duck. A plate of Braised Duck Rice ($4) comes with grainy yam rice, and you can add braised peanuts and half a sliced egg to give the dish more variety. What I love about Ah Xiao Teochew Braised Duck’s Duck Rice ($3) is the affordability and simplicity of it all. Here, watery brown gravy is drizzled over thinly sliced duck meat, which is layered atop a generous portion of steamed white rice. What impresses me about their duck is how finely sliced each piece of meat is. This alone tells me the amount of skill and experience the chef has. Another thing that strikes me is the braising sauce. 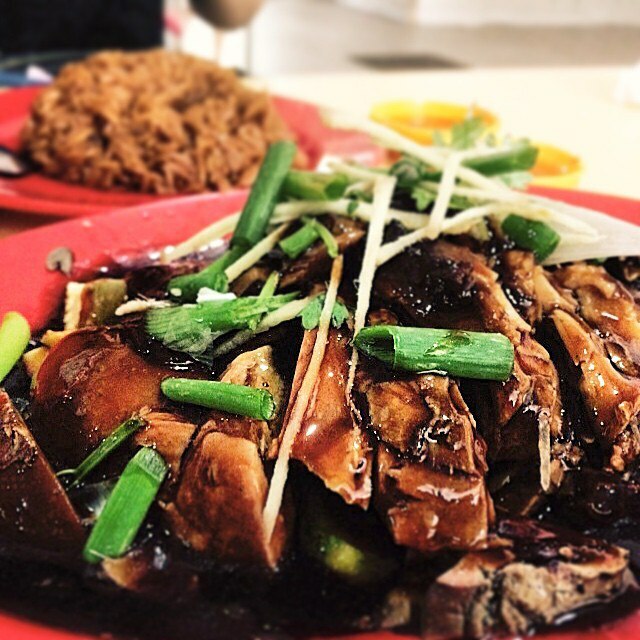 Unlike other duck rice stalls’ braising sauce, the one at Ah Xiao Teochew Braised Duck is saltier and less starchy. At New Market Teochew Braised Duck, each plate of duck rice costs $3.50. Once more, the duck meat is sliced very thinly, although I would’ve preferred a little more gravy to moisten the meat. One interesting detail I noted was that the egg wasn’t too hard and overcooked, unlike the ones at many other braised duck stalls. I also recommend ordering the pig intestines, which are nicely braised and do not have a stench. What I love about this dish is its unchangeable nature. You could slice the meat thick or thin, present it in a bento set or messily, and have it with yam or plain white rice, but at the end of the day, braised duck rice will always evoke memories of childhood for me. If you love duck, check out our review of halal-certified crispy duck rice at Bebek Goreng Pak Ndut! Featured image taken from Instagram user @jt6263‘s post.